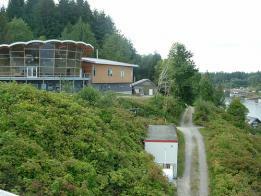 The Bamfield Marine Science Centre is a state of the art teaching facility and research centre located on the west coast of Vancouver Island. The striking building is immediately evocative of the natural marine enviroment. 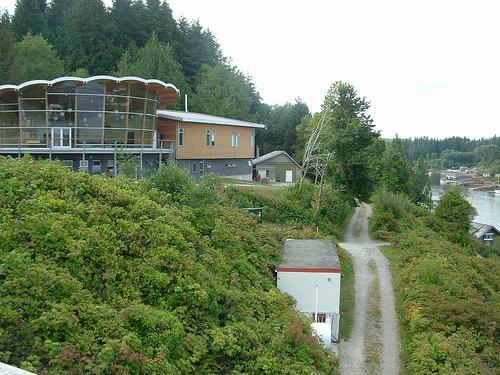 Its scallop shell roof springs from large wood columns and a curved, glazed facade allows sweeping views of Barkley Sound and the mountains of central Vancouver Island beyond. This marine centre was developed for educational purposes and could be considered one of the best training facilities in the world. 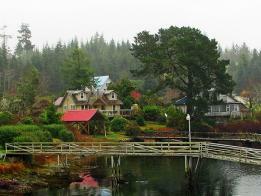 There are multi-day immersion field trips for schools, colleges, and adults that want to learn about the coastal ecosystem of Bamfield Inlet. 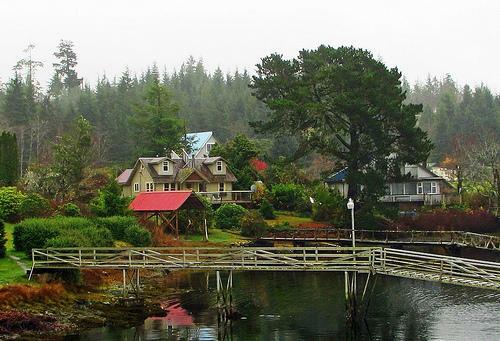 Their summer public programs include labs and fieldtrips on kelp forests, seabirds, marine mammals, plankton, intertidal life and much more. If you want to step out of the box, ask about a custom learning program and tailor your own experience! Check out the marine's "News and Events" section for information on upcoming activities.